Get rewarded for being a loyal customer of The Foot & Hand Spa! Earn! Every time you purchase something at The Foot & Hand Spa, whether it's a service or a product, you automatically earn Loyalty Points based on dollars spent. Save! Your Loyalty Points are saved automatically in your customer profile on our system, so there's no need to clutter up your purse or wallet with another pesky card. All you have to do is keep on coming back to see us! Redeem! Once you've met our initial Loyalty Point threshold, you may start redeeming your points as you please! You can wait to redeem your points for full pedicure or manicure services, or you can use them earlier to purchase free products to take care of your feet and hands between appointments. Do you have a special occasion to recognize? 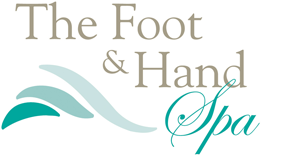 Why not give a gift certificate to the Foot & Hand Spa? It’s always a great choice. To request a gift certificate, call us at 804-320-FOOT (3668).